Hundreds of special videotaped Star Wars memories and personal stories captured at “Fanfessional” booths during Star Wars Celebration Chicago are now being archived to eventually live inside Star Wars: Galaxy’s Edge at Disney’s Hollywood Studios®. Disney Skyliner is an all-new transportation experience set to debut this fall at Walt Disney World® Resort. Testing of the system’s nearly 300 Guest cabins and other elements is well underway. Your can experience a new dining adventure honoring some of the most majestic and endangered African animals and celebrating the beloved story of “The Lion King.” Circle of Flavors: Harambe at Night offers a unique way to dine at Disney’s Animal Kingdom® Theme Park with a family-friendly progressive dining experience drawing inspiration from the many facets of African cultures and animals. Disney After Hours has been a huge success with Guests looking for the opportunity to experience the magic at Magic Kingdom® Park after the sun goes down. Disney is excited to share a new reason to delve into the delights of Disney After Hours this summer – Disney Villains will add a wicked twist to Disney After Hours event nights June 6-Aug. 8, 2019! Lightning McQueen’s Racing Academy will roll into Disney’s Hollywood Studios® this Sunday, March 31, 2019. This all-new show experience invites Guests to step into the world of Pixar Animation Studios’ “Cars” films as Guests become rookie racers and learn the rules of the road from Piston Cup Champion Lightning McQueen himself! ABC Commissary is one of the best places to grab a bite at Disney’s Hollywood Studios®, offering family-friendly lunch and dinner menus with a variety of delicious bites. Over the next few months, the restaurant will be undergoing some exciting enhancements as part of the ongoing transformation of Disney’s Hollywood Studios. Things are heating up around Walt Disney World® Resort, quite literally, and one of the best ways to enjoy the beautiful weather is a fun and relaxing day at Disney Water Parks! 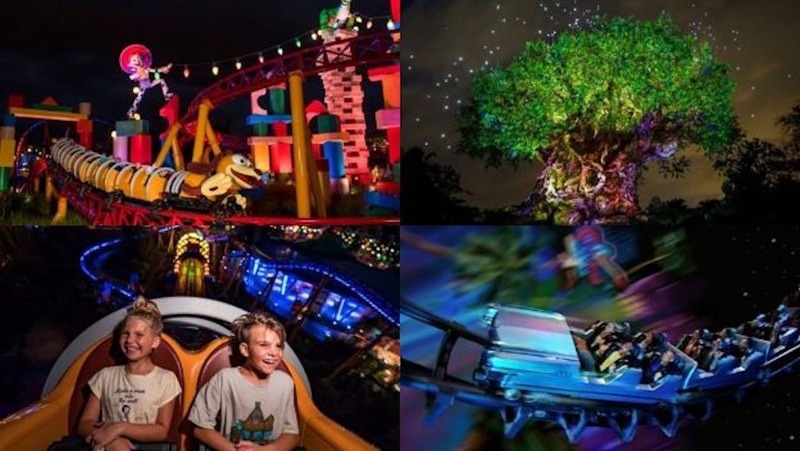 This spring, we’re rolling out some new offerings that are sure to make you visit to Disney’s Typhoon Lagoon or Disney’s Blizzard Beach even more “cool” and magical. We’re excited to share that the NBA Experience will officially open Aug. 12, 2019! This all-new destination coming to Disney Springs® will invite you to feel what it’s like to be a basketball superstar. This one-of-a-kind environment will be packed with 13 interactive elements and hands-on activities across 44,000 square feet and two floors. Atlanta Braves Spring Training returns to ESPN Wide World of Sports Complex in 2019! Enjoy the thrill of Major League Baseball combined with a family friendly Disney atmosphere as the Braves take on top MLB contenders like the 2017 World Champion Houston Astros (March 4, March 17), New York Yankees (March 18), New York Mets (Feb. 26, March 23) and St. Louis Cardinals (March 12). This will be Atlanta’s 22nd and final season of spring training at Walt Disney World Resort. The Braves’ final game at Champion Stadium will be on March 23, 2019, against the New York Mets. Tickets are now on sale through the Atlanta Braves’ website (braves.com/springtraining), ESPN Wide World of Sports box office and through Ticketmaster (1-800-745-3000). For groups of 10 or more, or to book private suites, cabanas or on-field experiences, please call 407-939-GAME. Events may be subject to availability, capacity limits, eligibility requirements, and may be subject to delay, change, or cancellation for inclement weather. The fun shines its brightest at Disney Water Parks. Relax and chill out at Disney’s Blizzard Beach. Plus, catch some rays at Disney’s Typhoon Lagoon, reopening March 17. You can kick off 2019 with the return of the Epcot® International Festival of the Arts – a 39-day celebration of visual, culinary and performing arts from around the world. Beginning Jan. 18 and running through Feb. 25, the festival offers artful activities for the entire family, from special entertainment and interactive workshops to immersive art experiences and world-class cuisine. If you are interested in participating in the 2019 Disney Wine & Dine Half Marathon at Walt Disney World® Resort, here is exciting news! During the 2018 Disney Wine & Dine Half Marathon weekend presented by MISFIT, Guests can book their vacation packages with race registrations for next year’s event. And for a limited time, Nov. 1-11, 2018, you can book Individual Event Registrations with a Disney Resort Hotel Package for the 2019 Disney Wine & Dine Half Marathon weekend. Two new interactive experiences are coming soon to the Play Disney Parks mobile app, which turns wait time into play time and offers you you a variety of fun activities to enjoy together. 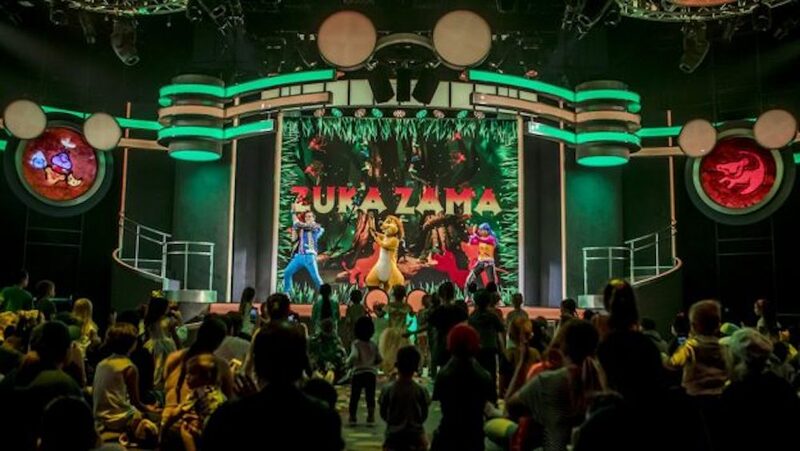 Beginning Dec. 22, 2018, families with little ones visiting Disney’s Hollywood Studios will have more reason than ever to get on their feet and start dancing! The all-new “Disney Junior Dance Party!” live show will rock the park with high-energy songs, dazzling special effects, new friends and beloved characters including Mickey Mouse himself. 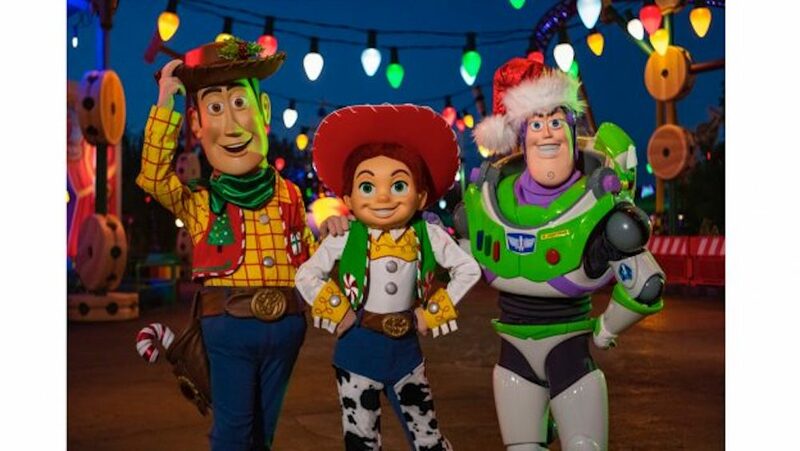 Toy Story Land at Disney’s Hollywood Studios® will join in on the holiday fun this year by dressing up for the holidays with fun new seasonal decor. Here is the first look at what their “Toy Story” friends – Woody, Jessie and Buzz Lightyear – will wear in Toy Story Land this holiday season. With so many new additions to Disney Springs® recently, you might be surprised to learn that they are still announcing new locations. They are excited to share that City Works Eatery & Pour House is set to open on the West Side next summer. A sneak peek of Disney’s dazzling new adventure “The Nutcracker and the Four Realms” is now playing for a limited time as part of the Walt Disney Presents attraction at Disney’s Hollywood Studios® at Walt Disney World® Resort. Beginning Nov. 4, 2018, your can enjoy breakfast at The Plaza Restaurant at Magic Kingdom® Park. Early Morning Magic at the Magic Kingdom® is a blast, with a delicious breakfast and limited-entry early-access rides on Fantasyland favorites like Seven Dwarfs Mine Train. And we’re excited to share that starting on Dec. 2, 2018, Early Morning Magic will be bigger and better than ever! Disney announced several celebrity narrators for the highly anticipated Candlelight Processional during the 2018 Epcot® International Festival of the Holidays, Nov. 22-Dec. 30, 2018. New dining experiences coming to Disney’s Caribbean Beach Resort. Today, we’re sharine exciting (and tasty) new details to reveal about the expansion of Centertown Market as well as a festive, pool-side bar called Banana Cabana! Now, more than ever, it’s time to start planning your 2019 Walt Disney World® vacation. Because there will be more to see, do, taste and experience here next year than ever before. Whatever their passion for Disney, there’s a big dose of pixie dust waiting for you at all four parks. It’s that time of year – the Epcot® International Food & Wine Festival is almost here! 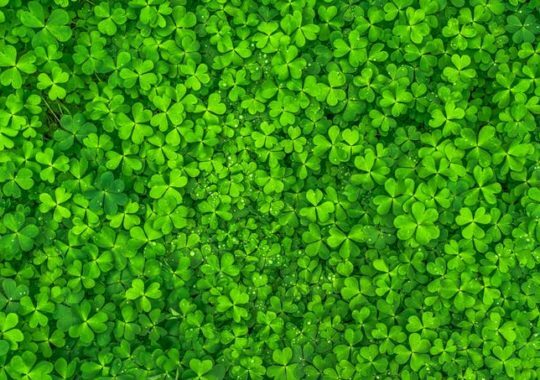 With delicious dishes and unique beverages influenced by cultures from around the world, this year we have more offerings than ever. The festival starts on Aug. 30, 2018 and runs through Nov. 12, 2018. Here’s a look at the menus for each of the Global Marketplaces located throughout the park. The Atlanta Braves 2019 Spring Training schedule has been released and there are some marquee games that will take place at ESPN Wide World of Sports Complex at Walt Disney World Resort. If you are baseball fans, they won’t want ot miss this! 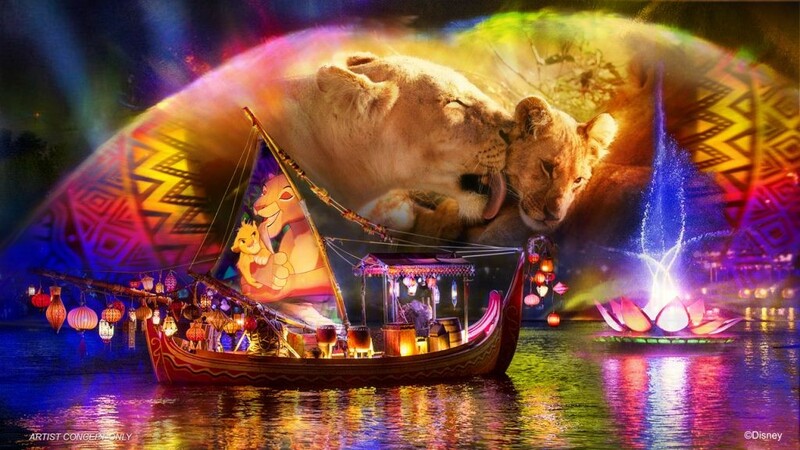 Disney’s Animal Kingdom® Theme Park has always been a go-to park for families with little kids. It’s definitely got a more chill vibe than the other parks and there is so much here to do for little ones. And the debut of Donald’s Dino-Bash! brings loads of new character greetings to DinoLand U.S.A.
For 2019, Walt Disney World® Resort is continuing to extend some benefits, currently available to Disney Resort hotel Guests, to GUEST who is staying at nearby hotels, including the Disney Springs® Resort Area Hotels, which are designated Official Walt Disney World hotels. Are you planning a visit to Walt Disney World® Resort for the holidays? Mickey’s Very Merry Christmas Party at Magic Kingdom® Park is an absolute must-do event during the holiday season. This in-park party celebrates the season with lovely decor, glittering holiday lights, special photo opportunities, snow on Main Street, U.S.A., and entertainment you will have to see to believe!. If you have journeyed to Pandora – The World of Avatar at Disney’s Animal Kingdom® Theme Park, then you probably know how unique and awesome it is. Where else can you soar on the back of a banshee, sail through a bioluminescent rainforest or walk under mystical floating mountains? It’s no wonder Pandora instantly became a must-do experience when it opened at Walt Disney World Resort last year. Experience the wonders of our world and explore cultures from around the globe. Explore Disney World the theme park that ignites the senses and sets your spirits soaring! Summer is waning, and fall is just around the corner. At Walt Disney World® Resort, that means it’s almost time for the Epcot® International Food & Wine Festival! 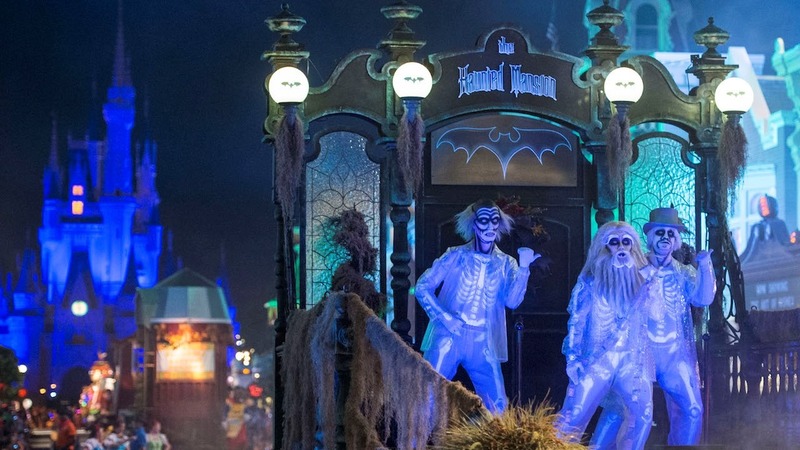 This year, the Festival covers 75 days, from Aug. 30-Nov. 12, 2018, and the Disney Parks Live Entertainment team is hard at work on a menu of great experiences to fill those days when you visit. The Eat to the Beat Concert Series returns to America Gardens Theater with nine new acts including 98 Degrees, MercyMe, Vertical Horizon, Glass Tiger, Sheila E. and Jim Belushi & the Sacred Hearts. Making Lost & Found So Easy … It’s Like Magic! A day at Walt Disney World® Resort is sure to be adventurous and filled with fun, but sometimes in all that excitement it can be easy to lose track of personal belongings. The Candlelight Processional, a holiday must-do for many Epcot Guests, is a retelling of the traditional Christmas story read by a celebrity narrator, accompanied by a massed choir and live orchestra. Stay tuned for updates on this year’s Candlelight narrators and dining package information. Do you love fireworks … and dessert? Due to the popularity of the Fireworks Dessert Party at Magic Kingdom® Park, there will now be an additional option – the After Fireworks Dessert Party starting on May 28, 2018. Now Guests can experience the legendary fireworks over Cinderella Castle from a special viewing area in the Plaza Garden, and afterward, head on over to Tomorrowland Terrace Restaurant and indulge in a delicious array of all-you-care-to-enjoy desserts! Wine Bar George at Disney Springs at Walt Disney World Resort is Now Open! Wine Bar George, the latest addition to the dynamic food and beverage scene at Disney Springs® at Walt Disney World® Resort, is now open! The restaurant’s namesake, George Miliotes, is a Master Sommelier – one of only 249 in the world. Wine Bar George is the only wine bar in Florida owned by a Master Sommelier and will offer more than 130 selections by the ounce, glass, and bottle in a range of varietals, vintages, and prices.